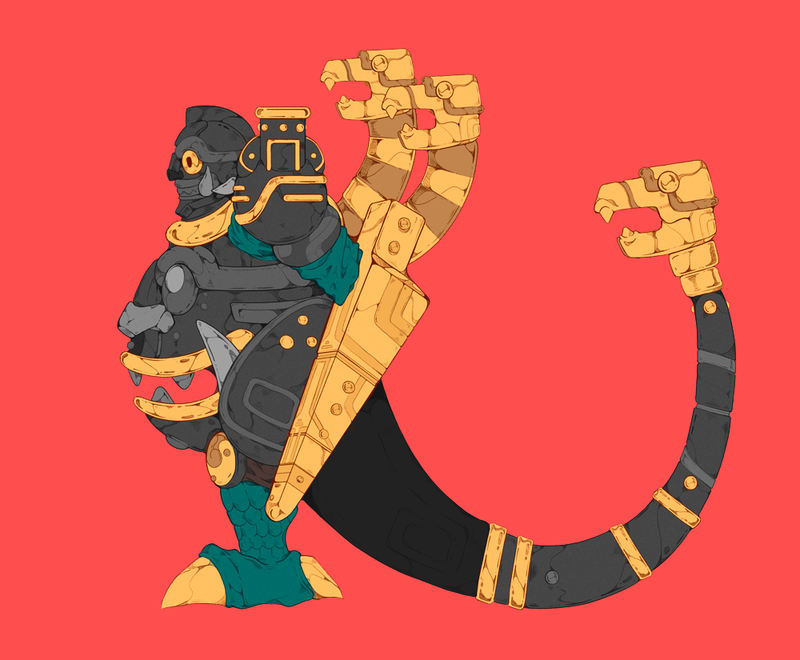 KING HUANTAR is the first character created for the currently titled Peru Kaiju Project. 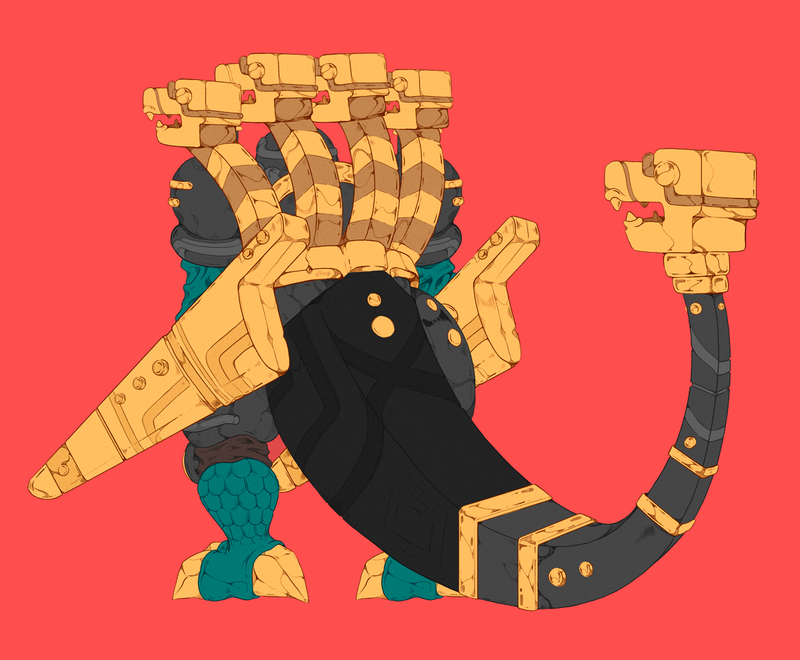 This ongoing project consists of a variety of kaiju-inspired monsters, based on different peruvian cultures. The overall goal is to create new interpretations and visual styles inspired by ancient cultures, creating tangible products that gives them a new life. 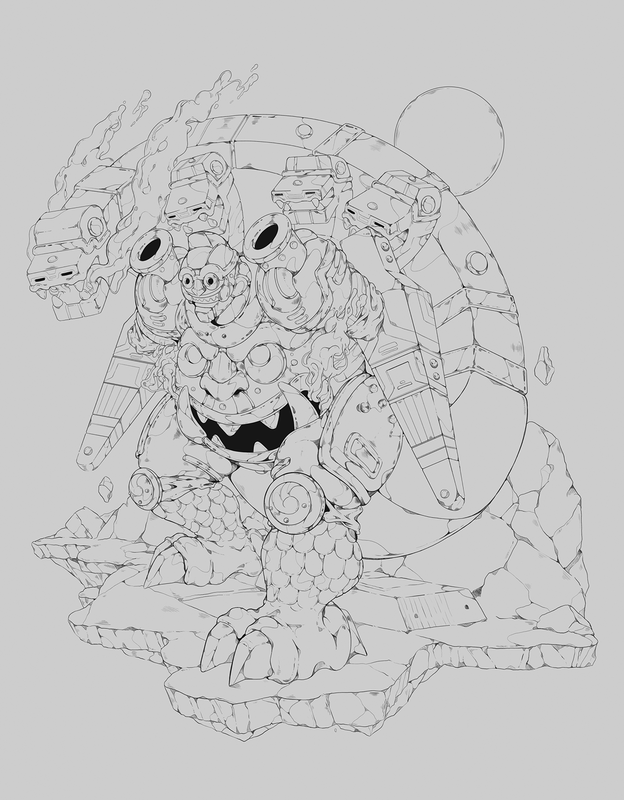 This project will cover a variety of mediums, from art prints and collectibles to sofubi style toys. King Huantar draws inspiration from the Chavin culture. Taking elements such as motiffs and patterns straight out of their artistic manifestations, such as pottery and rock carvings, and also takes concepts from the culture's overall world view, which represents deities as feline and reptile creatures. 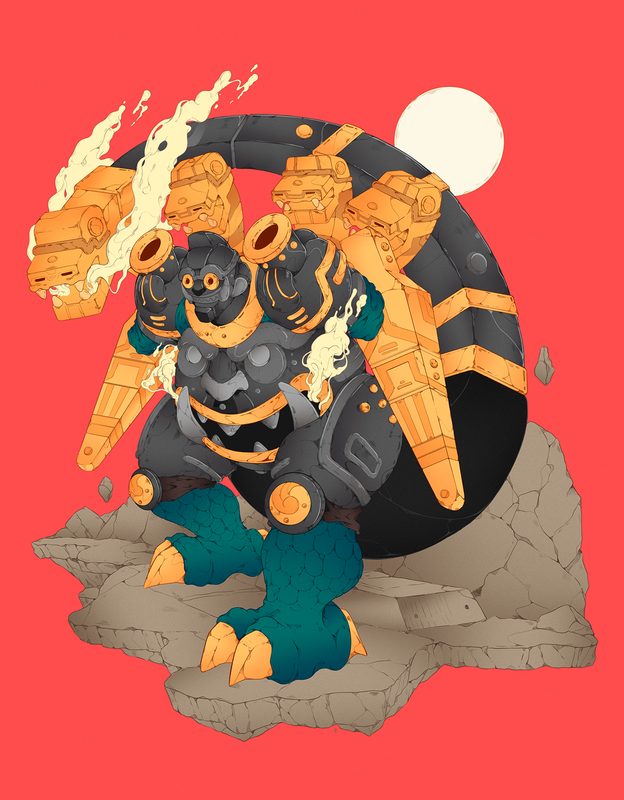 More updates and more kaijus coming soon! The Chavin Culture's most representative creations are the Cabeza Clava (1st image), the Lanzon Monolitico (2nd image) and the Estela de Raimondi (3rd image).These were taken as the starting point for the kaiju's design. Other elements such as the stone engravings and patterns were taken from the culture's pottery work. 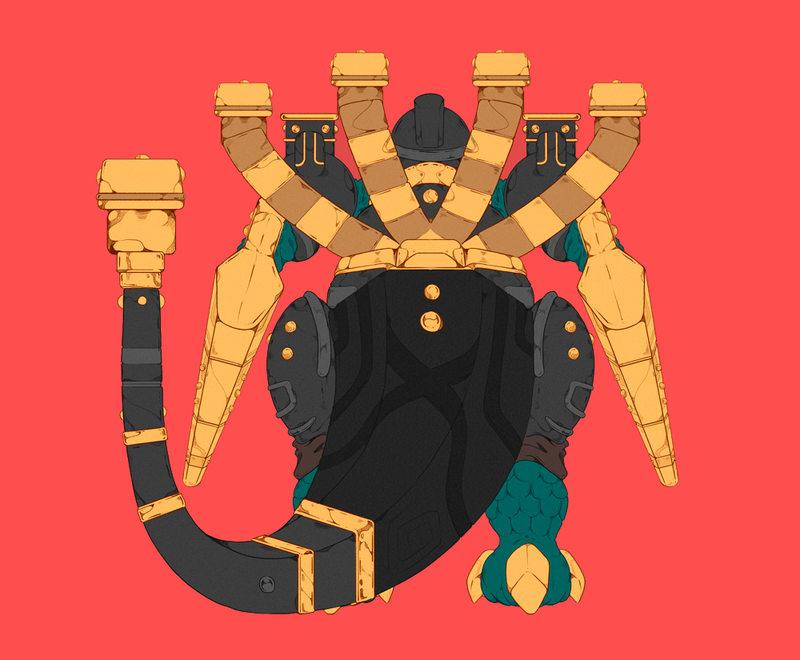 Influence was also taken from toho kaiju designs such as Gigan, Megalon and of course the iconic Godzilla. 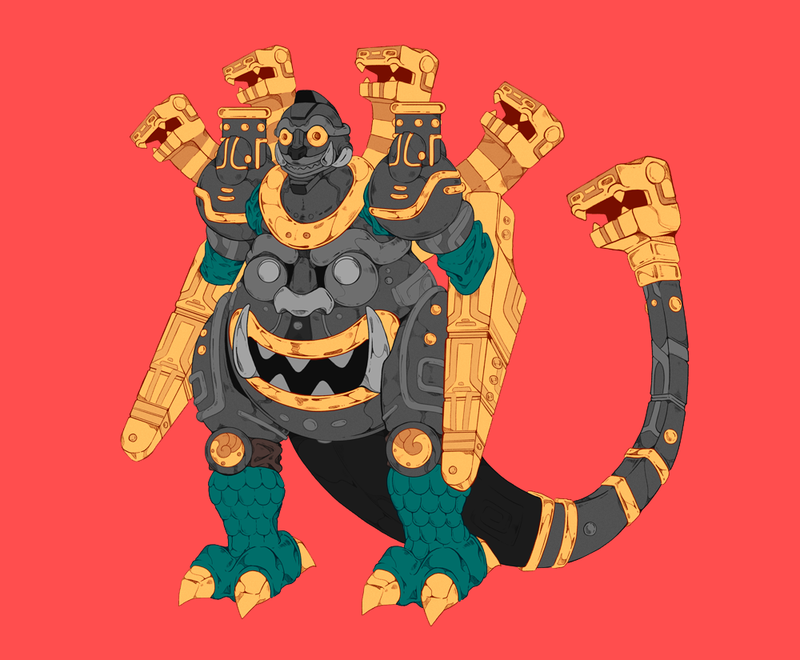 KING HUANTAR is the first character created for a the currently titled Peru Kaiju Project. 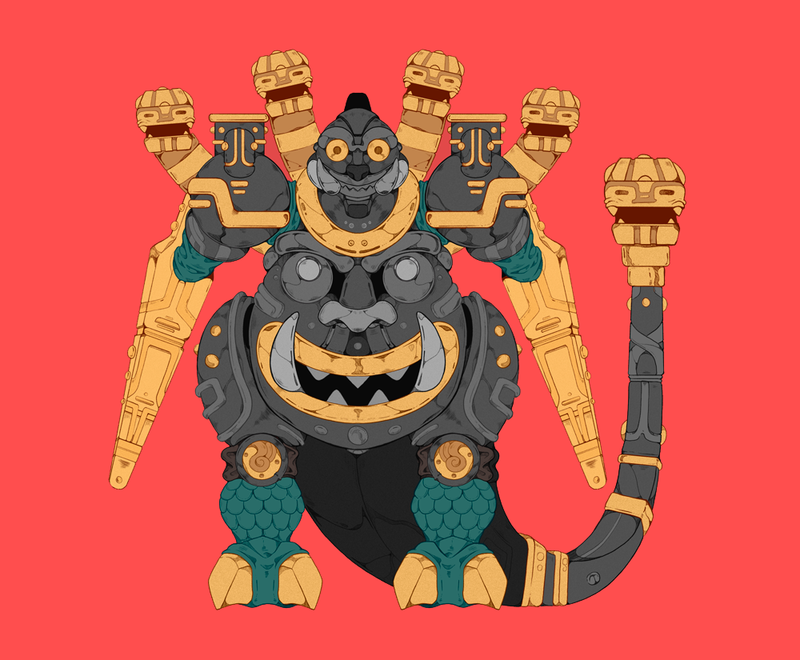 This ongoing project consists of a variety of kaiju-inspired monsters, based on different peruvian cultures. The overall goal is to create new interpretations and visual styles to ancient cultures, creating tangible products that gives them a new life. This project will cover a variety of mediums, from art prints and collectibles to sofubi style toys. 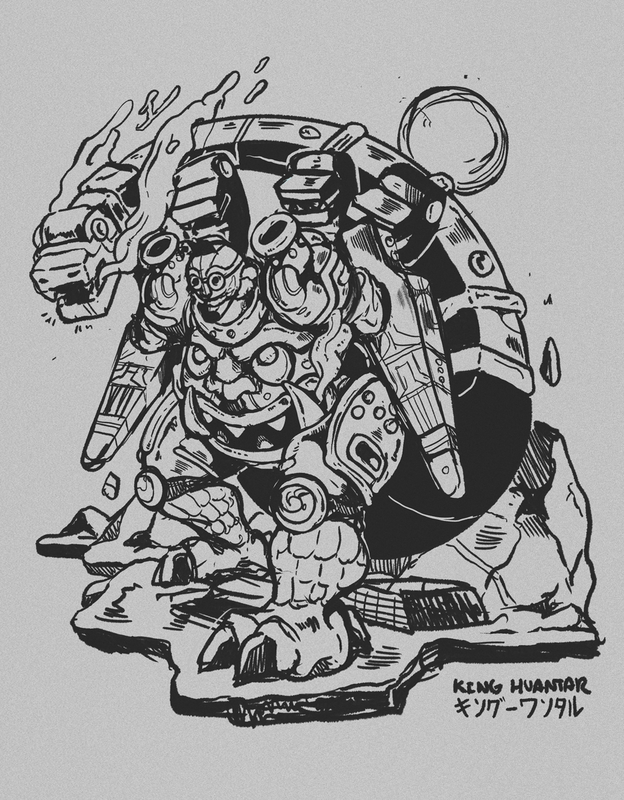 King Huantar draws inspiration from the Chavin culture. 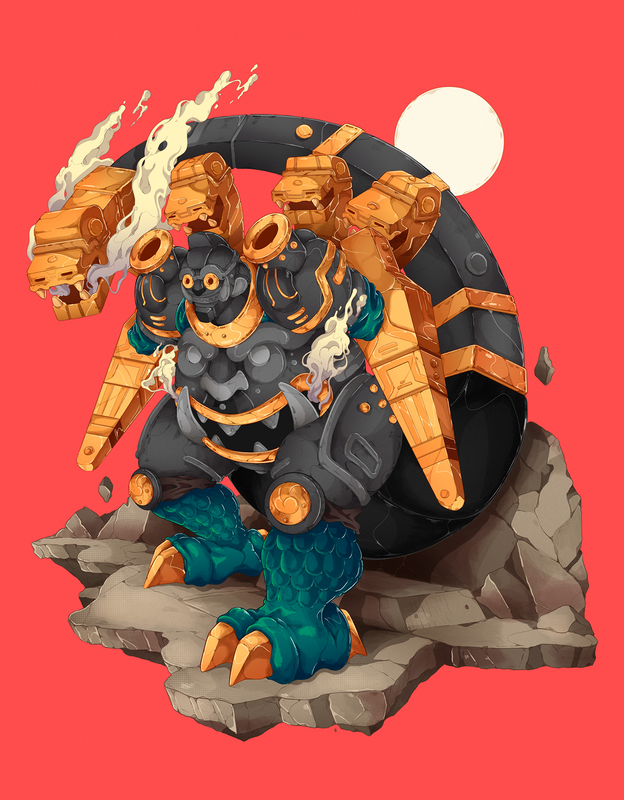 Taking elements such as motiffs and patterns straight out of their artistic manifestations, such as pottery and rock carvings, and also takes concepts from the culture's overall world view, which represents deities as feline and reptile creatures. 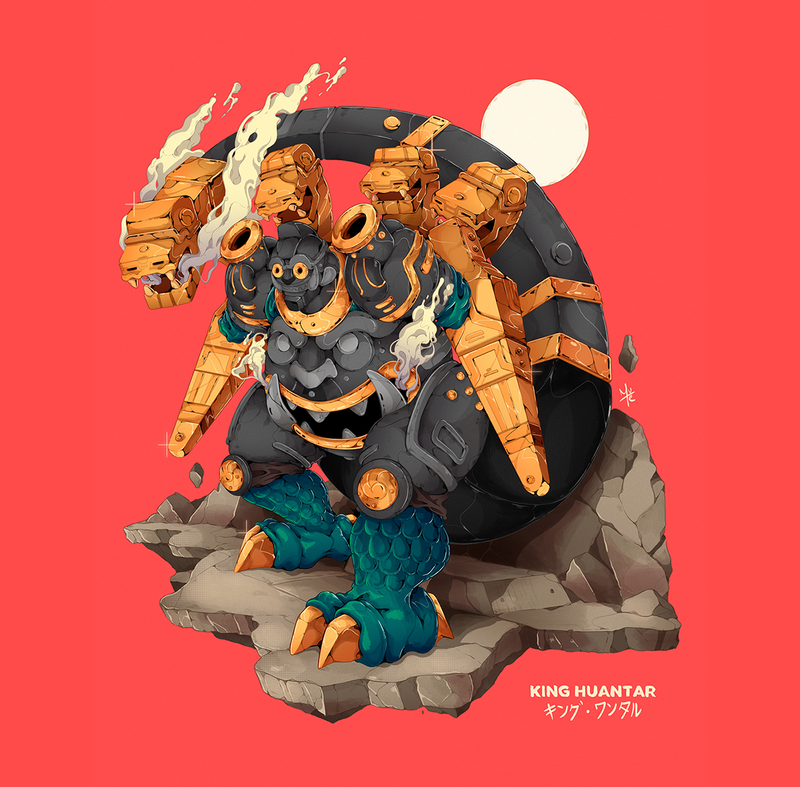 More updates and more kaijus coming soon!